3" x 1 1/2" x 3/8"
This two-sided pendant was created as a commission for an 86-year-old woman who was getting Bat Mitzvah. 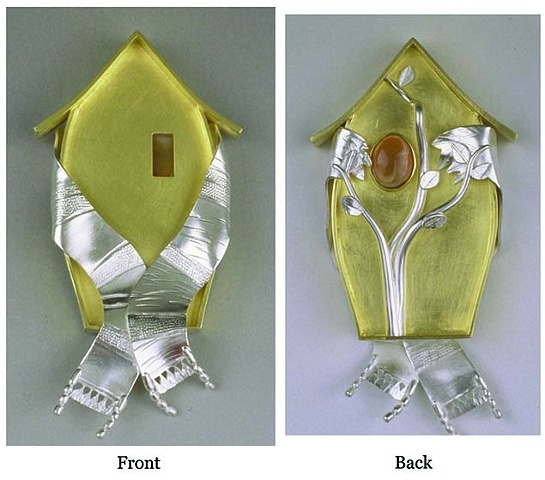 The front is a house wrapped in a tallis (prayer shawl), the back has the Tree of Life sprouting into the tallis. There are seven leaves on the Tree of Life to represent the holy number seven and the seventh day — Shabbat.